MUFE Water Blend foundation comes in 20 shades which are labeled in the new colouring system of Y or R. The shade that matched me is Y505. 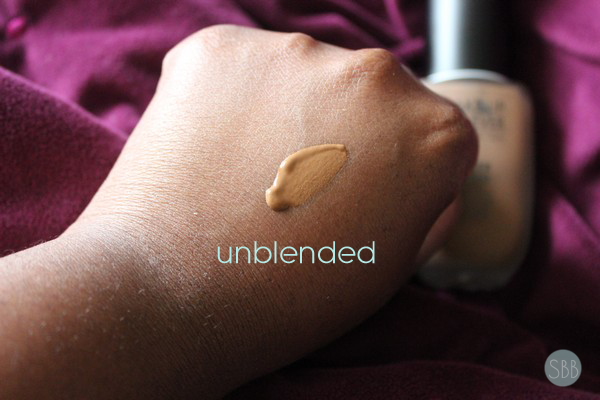 This foundation is light weight sheer to buildable coverage with a gel texture. This foundation contains 80% of water in it and is enriched with Vitamin B5which is a Pantothenic acid. The finish of this is natural/dewy. So why have I been enjoying the water blend foundation, because it looks like my skin and feels like your wearing nothing. If you don't like foundation I really think you will like this. I personally I'm not a big fan of foundation on myself. But sometimes I just want something to complete my makeup look so I will wear BB Creams or Bronzer as my foundation because they are light weight. This foundation is light weight and looks and feels like your wearing nothing. I love that when you put it on it's very hydrating because it's made with 80% water. The only down side for me if that I felted like by the end of the day my nose area looked super dewy which is a problem I have on a normal basics. If your looking for a foundation to make your skin dewy I would say hands down get this foundation.This is a buildable foundation however if your looking for a foundation to cover acne/scars etc. I wouldn't recommend this for you, but if your someone new to foundation or want something that will look natural like your own skin then get this! Have you tried the new Face & Body? This doesn't sound like what I look for in a foundation but I'd really like to try some MUFE products at some stage! Great post! I really want to try Make up Forever! 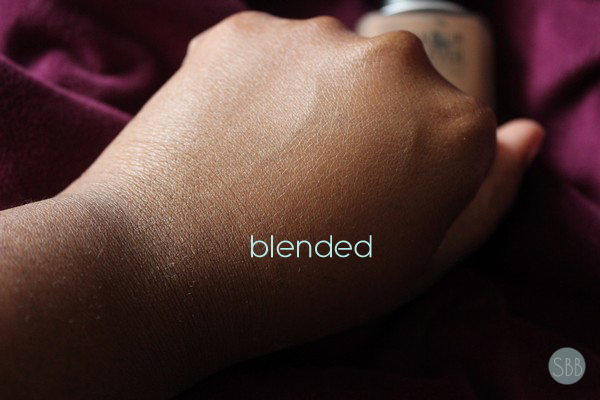 That imagine of it blended really looks like it has disappeared into the skin, but creates a flawless finish! I love a dewy finish so I'll definitely have to look into this foundation! I love the MAC Face and Body so I want to see how they compare. 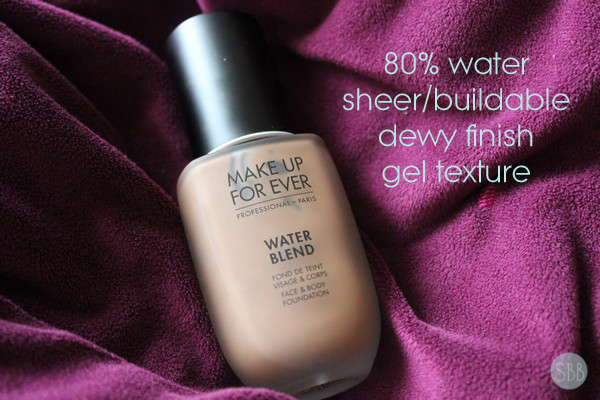 Since it is 80% water based, I wouldn't expect it to get dewy but stay matte. 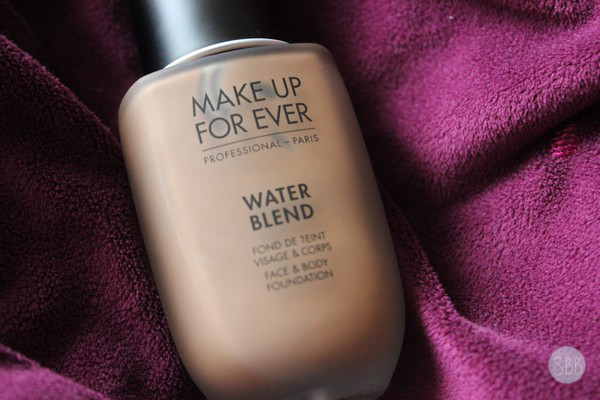 For natural finish, this foundation sounds good!